CHICAGO (June 2, 2015) - Washington Spirit forward Crystal Dunn was voted the National Women's Soccer League (NWSL) Player of the Week by the media for Week 8 of the 2015 NWSL season. After weeks of arrests and unrest at FIFA, President Sepp Blatter steps down. Good luck to our New York Cosmos today as they make their historic appearance against the Cuban National Team in Havana, Cuba. 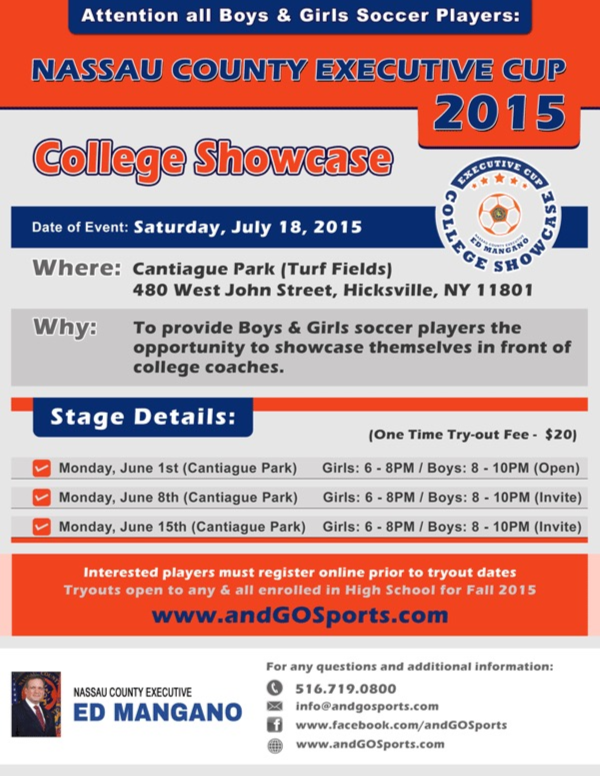 2015 Nassau County Executive Cup College Showcase ~ Saturday July 18 ~ Sign Up Now!